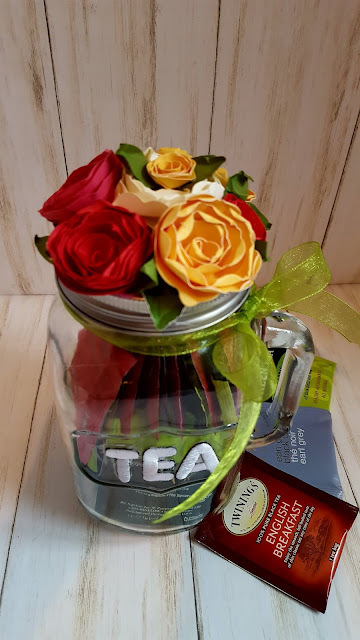 It is always time for tea! Spring is here and we will be enjoying our yards, flowers and decks. 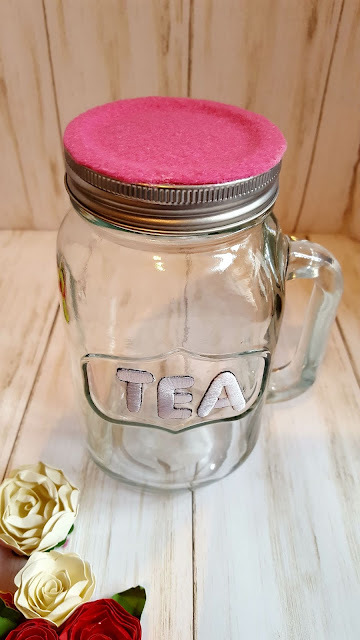 This fun and easy project is perfect for a gift or for a lovely piece of decor to bring out at tea time! 1. 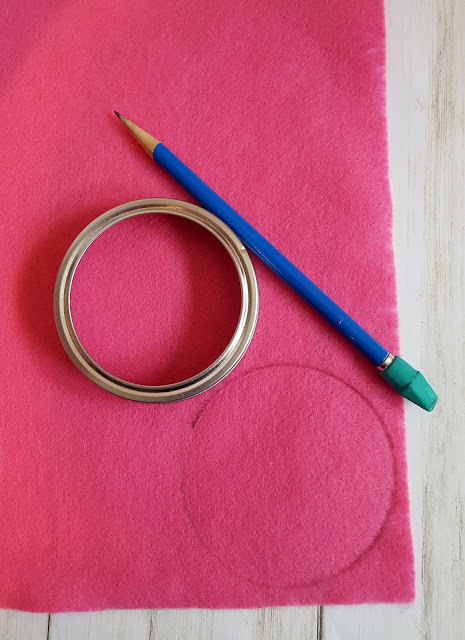 Flatten the felt on the table top and trace around the lid. Cut out along the pencil line. 2. Screw the lid onto the jar. Apply glue to the lid surface and smooth the felt onto the lid. This will secure the inner seal to the outer ring of the lid. 3. Arrange and adhere the flowers to the lid using the glue gun. 4. 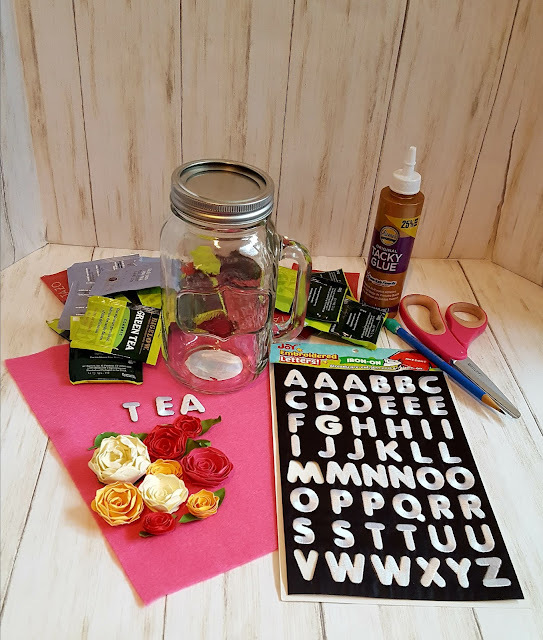 Adhere the letters spelling TEA to the front of the jar. 5. 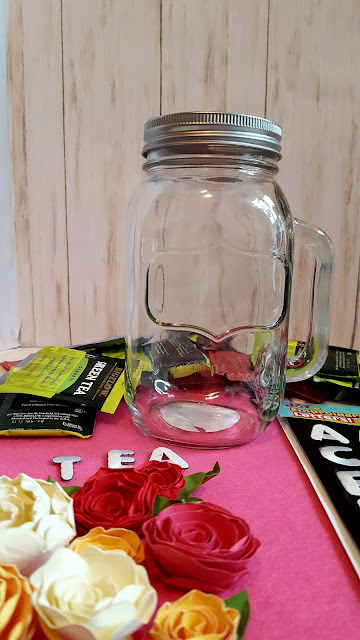 Tie a bow around the neck of the jar to finish then fill the jar with tea bags. Enjoy! Look for Joy® letters and letter sheets at your local craft store. 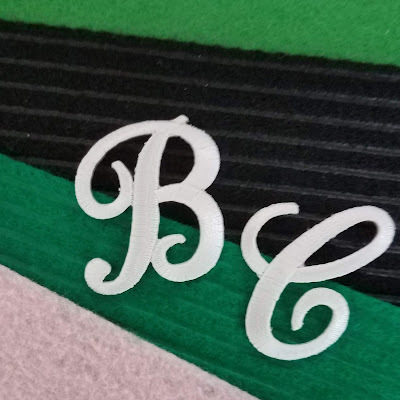 They're available in a variety of fonts and colors, perfect for all your personalizing needs. 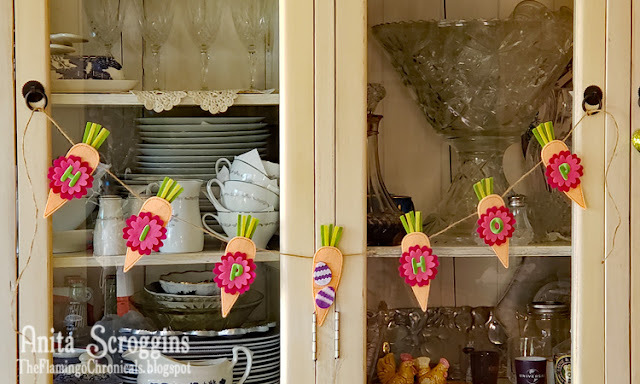 Make a fun Easter Banner to brighten your décor! Spring is my favorite time of year and I love to decorate for Easter. With the grand little in the house it is even more fun these days. She always looks for a banner on my china hutch so I personalized a pre-made felt banner to make it extra quick & easy! 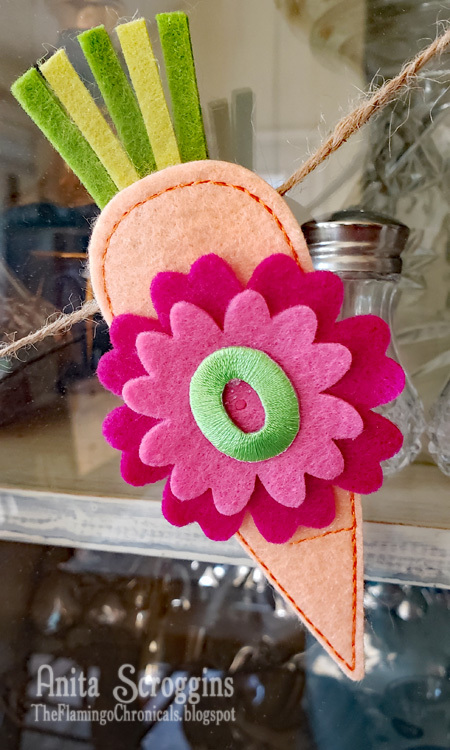 Cut flowers and Easter eggs using felt and die cut machine. Cut half of eggs into strips using pinking shears. 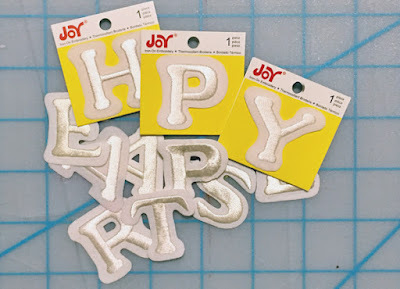 Adhere layers together using hot glue gun. 3. Glue flower layers together then glue flowers to banner base. 4. 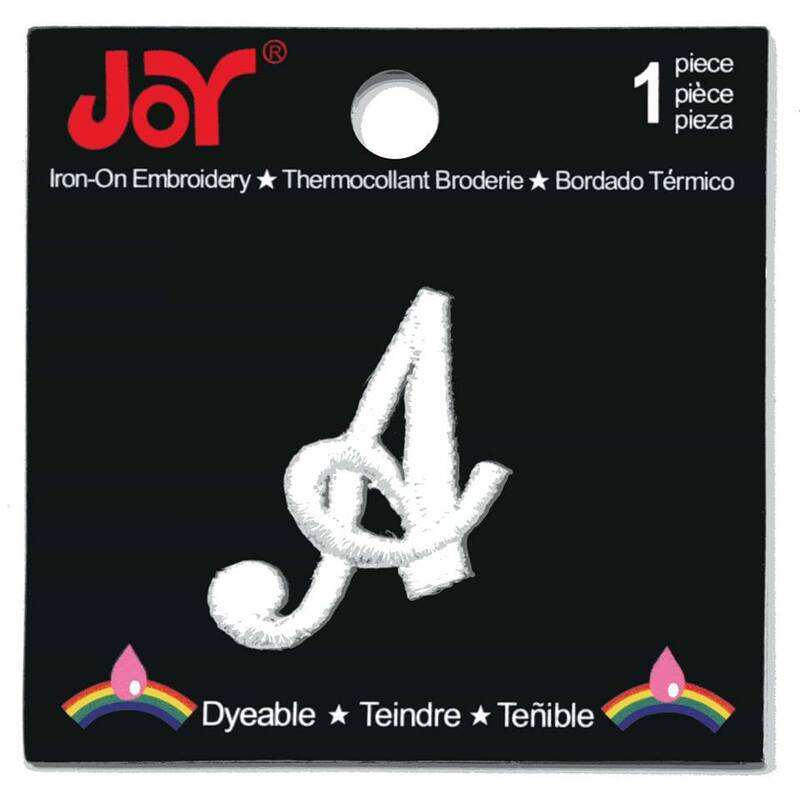 Following manufacturer's directions, iron one letter to the center of each flower. You can find Joy® iron-on embroidered letters and letter sheets at your favorite craft stores! 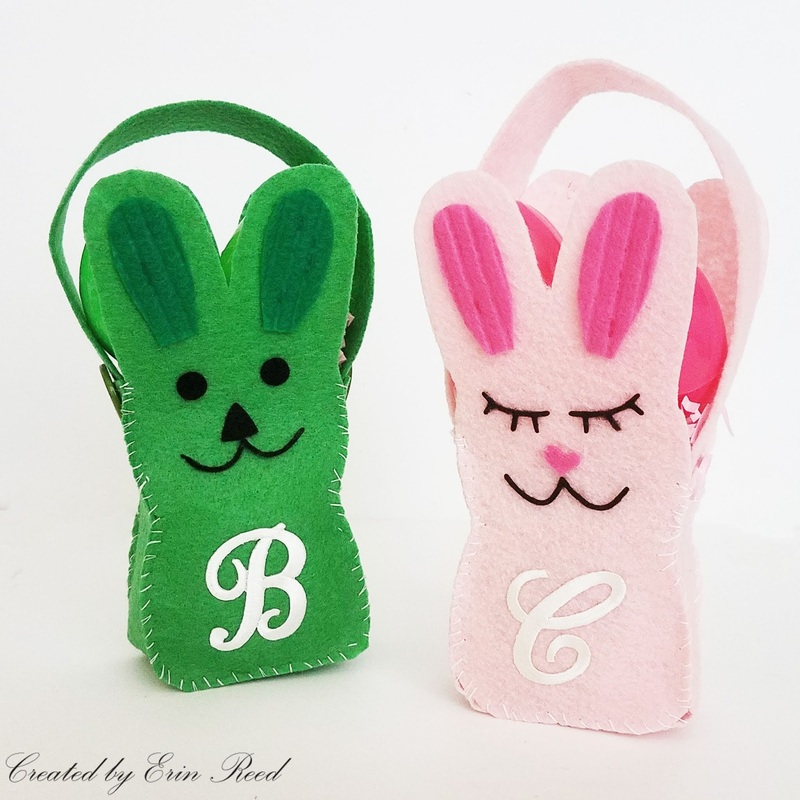 Create some adorable Easter Bunny treat bags monogrammed with Joy® iron-on letters! Cut 2 bunny shapes from the felt, 2 long strips for the handle and base, and all the small parts for the face and ears. Iron the letter on to the tummy of the bunny to make it personalized. 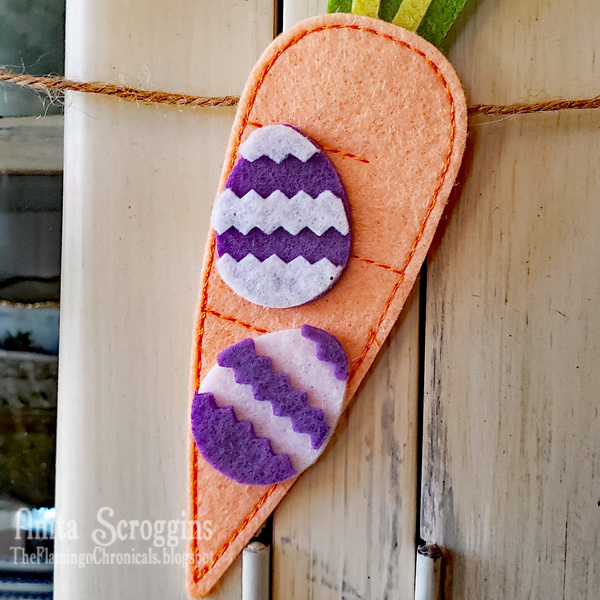 Sew the parts of the bunny together to make a basket. 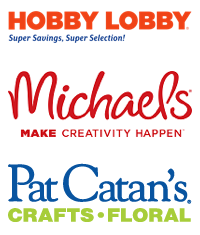 Fill the basket with fun treats for Easter! Pass along this sweet bunny basket to that special someone filled with some wonderful treats! 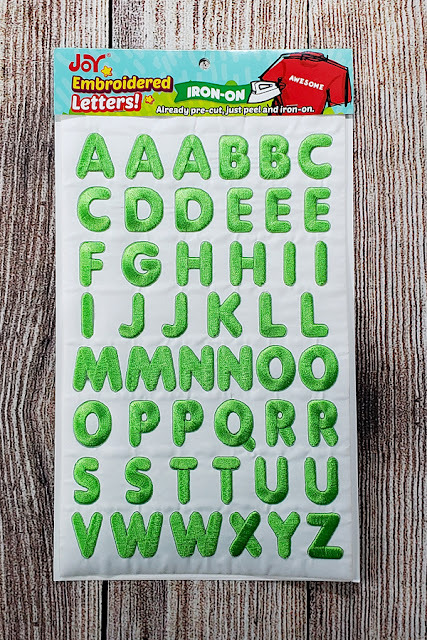 Here is a quick video on how to make them. 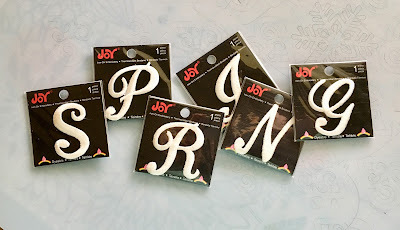 Decorations are quick’n easy when you use iron-on embroidered letters! With a Cricut® Maker, you can make an unlimited supply of shapes for lots of creative and crafty ideas. Easter egg shapes for example, can be used to decorate garlands, wreaths, gift bags, tags, cards, napkin rings and so much more…..
1. Cut 4 each, 3” x 9” strips of yellow and pink felt and 3 strips of lagoon felt. 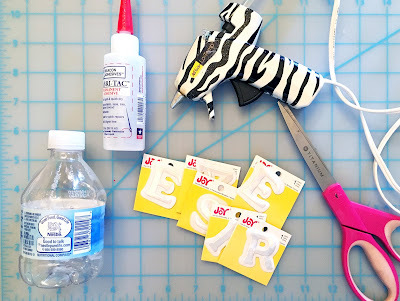 Wrap each piece around the bottom of a plastic bottle, overlap the ends then glue to secure. 2. 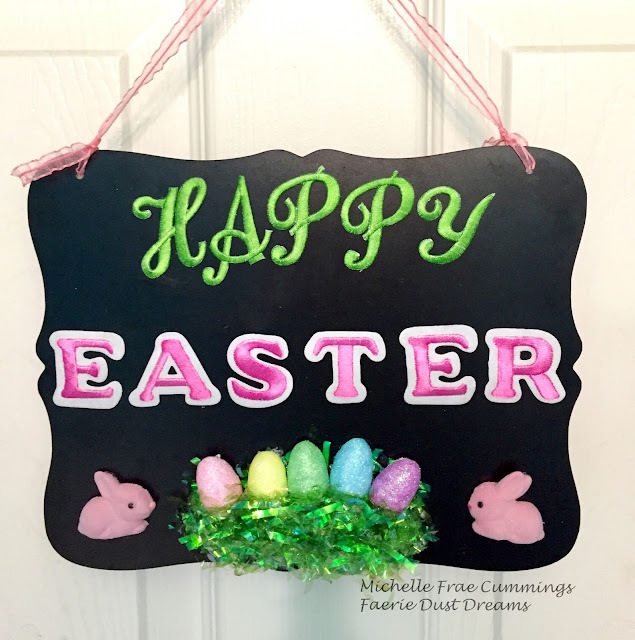 Cut 11, 3 ¼” white glitter egg shapes using the “felt acrylic” setting and rotary blade on your Cricut® Maker. 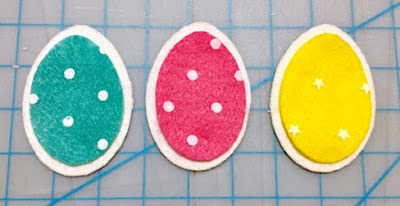 Re-size the egg shape to 3” then cut 4 yellow, 4 pink and 3 lagoon shapes. Center, then glue a colored egg shape onto a white glitter shape. 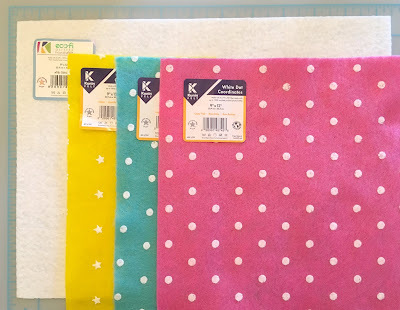 You can use with either the dot pattern facing upward, or the plain side. 3. 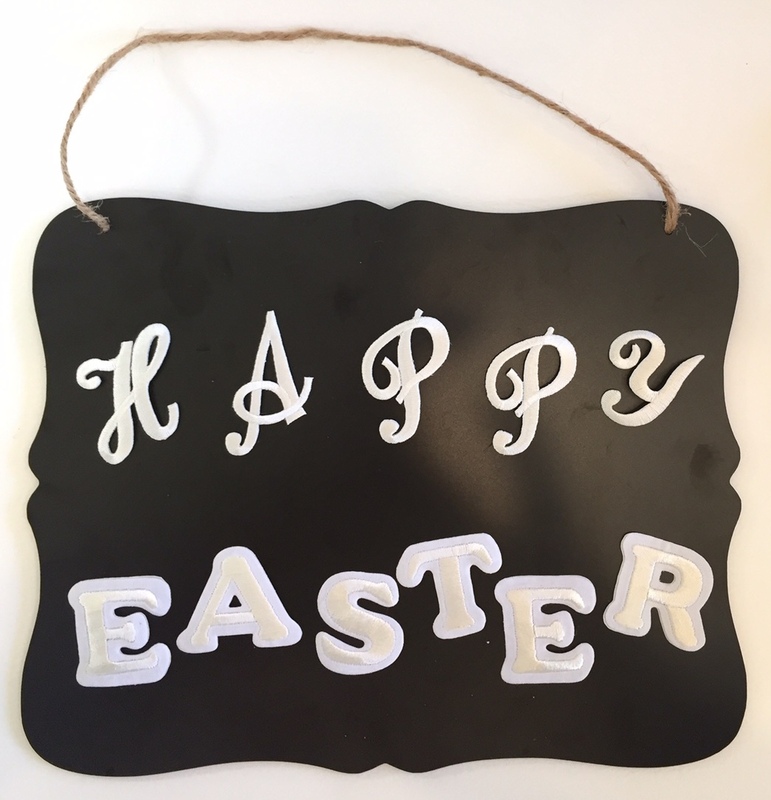 Peel the waxy white backing from each letter to expose the adhesive then press in place on the front of the egg. 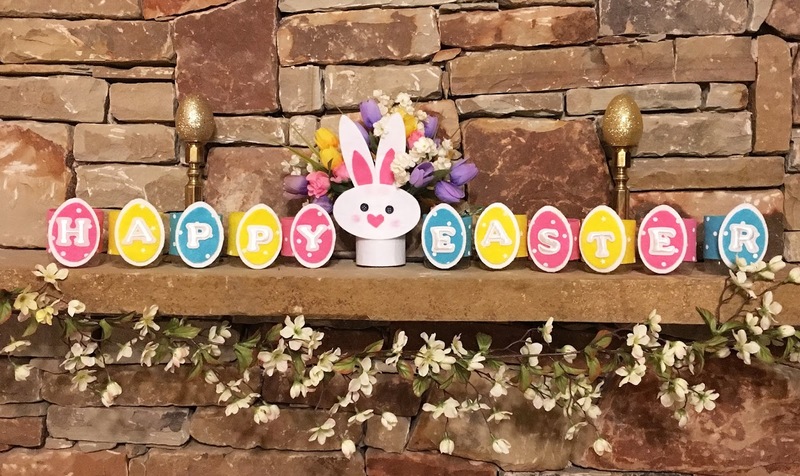 Note: Arrange the eggs in color order first before adding the letters. Glue the egg onto the band on the bottle. 4. 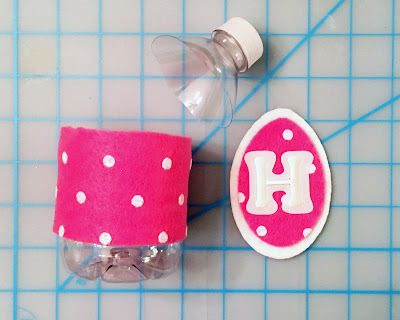 Carefully cut away the top of the bottle even with the top of the felt band to use as a small container for jelly eggs, or a large Easter Egg filled with goodies. You can also leave the bottle as is and use as a small vase to create a row of single flower stems for a table top decoration – it’s waterproof! 5. 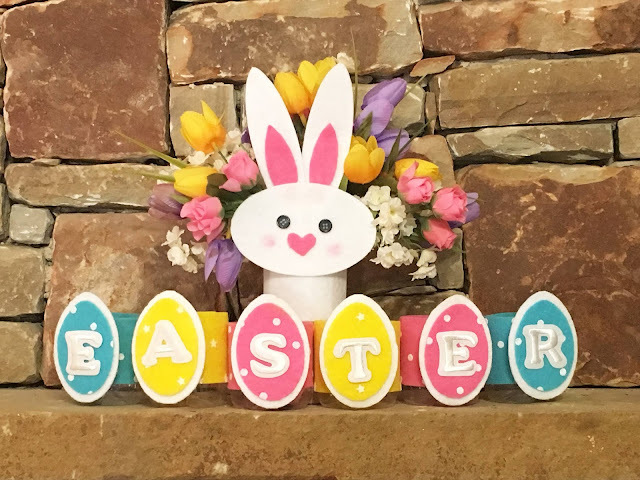 Rabbit “Vase” Centerpiece– Easter decorations wouldn’t be complete without an Easter Rabbit. 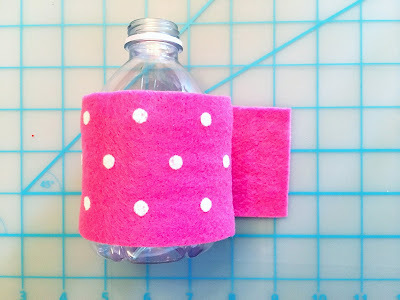 Cut a 4” x 9” piece of white glitter felt then glue around the base of a plastic bottle. Cut a 5” x 3” oval for the head and 2 elongated ovals for the ears. 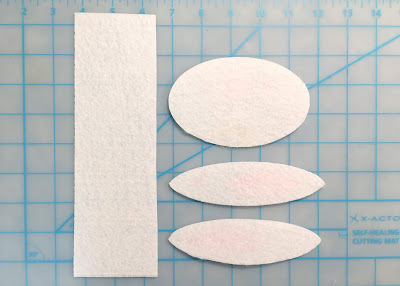 You can cut these using the “shapes” feature in Cricut Design Space, or draw your own simple patterns on the back of the felt, then cut out with scissors. 6. Cut 2 smaller ear shapes from pink felt then glue to the front of each ear. Cut then glue a 1” heart shape to the center of the “head” for a nose then glue the buttons on either side of the nose for eyes. Use a little powder blush for the cheeks if desired. Glue the ears to the back of the head then glue the head to the bottle. 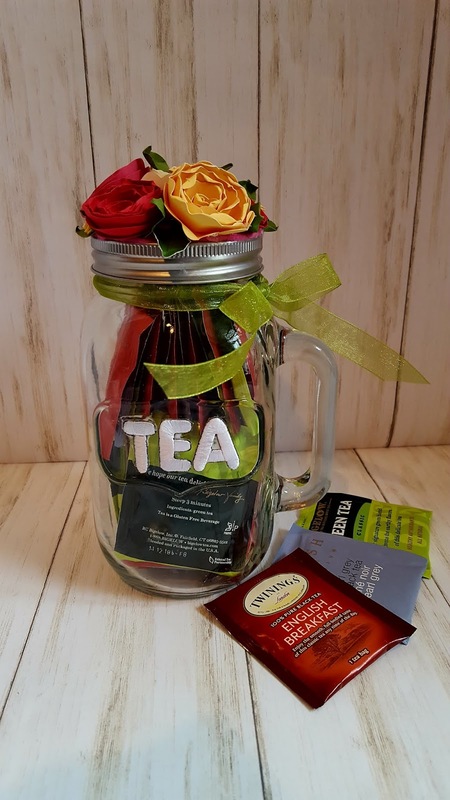 Fill the bottle with Spring flower picks to finish.